FIRST WORD This week we announce the release of a cool new feature in your MBS: Additional Expenses Now, in addition to adding product costs and inbound shipping, you can also add general company expenses and associate them to brands and products. TIPS & NEW STUFF SKU Tags are a relatively recent addition to your MBS, and can be a useful way to create further product groupings. Under Settings > Product Tags you can create the tags you’ll assign to SKUs. FIRST WORD Today’s the day. The big Facebook Masters Webinar happens this afternoon. On this webinar the Facebook Ninja, Manuel Suarez, will show you 5 killer FB strategies to rocket your Amazon brand. FIRST WORD This week we introduce a new section to our weekly letter. Actually, it’s more like we’re expanding an existing section, and it’s pretty big news for ManageByStats This Week. To date we’ve used the section MBS Out & About to keep you up-to-date on where we’ll be and how to find us at shows. FIRST WORD We’re just getting back from the Prosper Show in Vegas, and we’re excited about all the good that came from that fantastic event. Dedicated to Amazon sellers, Prosper was the epicenter of awesome for those two days. FIRST WORD Hello, and welcome to the show. This week we tell you about something new for SellerMail in Tips & Tricks. Under Sellers’ Paradise we’ve got some great advice on why and how to get started with social media videos. FIRST WORD Thanks for tuning in each week. Over a year ago we decided to begin consolidating news and updates in a single, weekly letter, the things we feel important to share, and you’re reading one of those issues now. FIRST WORD You’ll see us continuing to promote upcoming events, as we’ll be in attendance at several big, Amazon-specific shows over the next several months. Check the MBS Out & About section each week for more on what’s coming and where to find us. FIRST WORD Hello, and welcome to this week’s edition. 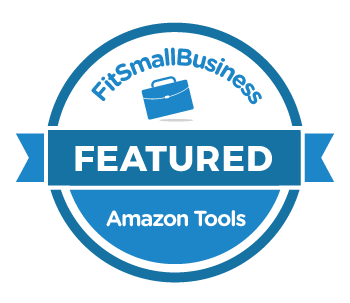 For openers, let us say that if you’re thinking of selling your Amazon business, we’ve got a resource that can help. Check it out under Sellers’ Paradise. FIRST WORD This week we’ve got a great article on email optimization, chock full of info-graphics and stats, under Sellers’ Paradise. Also, we debuted some great new videos for the Prosper Show.